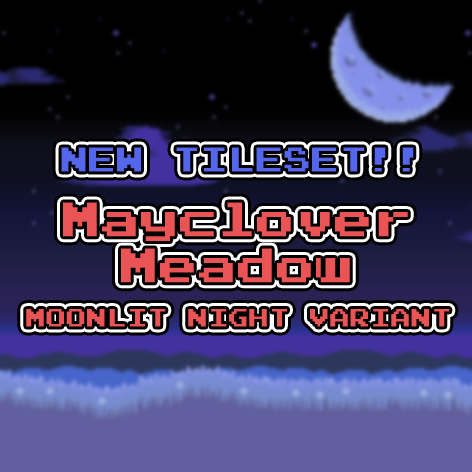 The new tileset Mayclover Meadow (Moonlit Night Variant) is now available for Patreon backers! This is my first variant tileset! I took the Mayclover Meadow tileset and remixed it a bit. 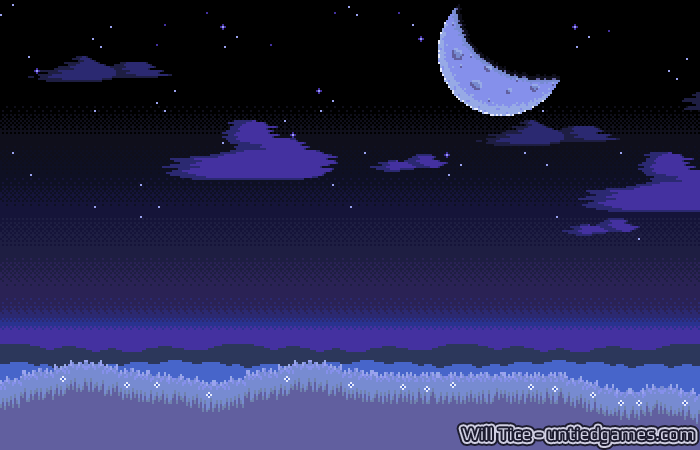 Now it’s a serene night landscape with a moon that has a lot of character. Tomorrow, there’ll be a SECOND tileset! It’ll make up for the week I missed. I’m still working on it, and it’s coming along okay. It’s going to be a kind of space base thing. Should look pretty fun when it’s done. Also, a little update on Atmocopter: I’m still working on it! Putting together the level is turning out to be a lot more work than I first thought. It doesn’t help that I used 128×128 placeholder tiles and my real tiles are 64×64. That means I kind of have to remake the level as I go. But it’s still progressing. The next demo will be a lot of fun, I hope! Go check out the tileset! If you like it, please consider supporting me on Patreon! You’ll get access to this and a lot more.